Zoe and I came back home yesterday. And waiting for me (besides a sparkling clean house and happy hubby) was my Studio Calico Kit! I've had these photos printed for a week and was so excited to make them into a page. I used this page as an inspiration. Zoe was so excited about her party at school, she couldn't wait to get out the door. It was so cute, her whole class was dressed in red and hearts, I think a class picture would be adorable. I'm excited to give Zoe her Valentine, I can't wait to see her reaction. Love the layout :) Your girl is so cute. Great layout! I love how you used the badge and the little badge tails at the bottom. Cute! Love that face!! Cute layout. 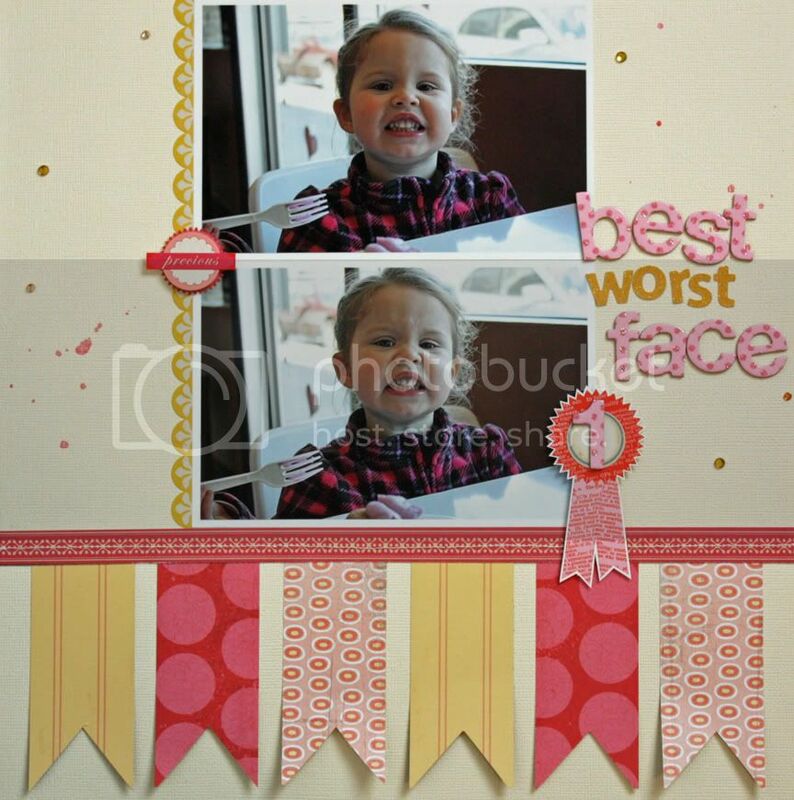 adorable page - love the big banners across the bottom! Hee hee! I recognize that look! Love the title! Ha! What a great page!! I heart you! Happy Valentines friends! LOL! Love that look. Adorable layout!